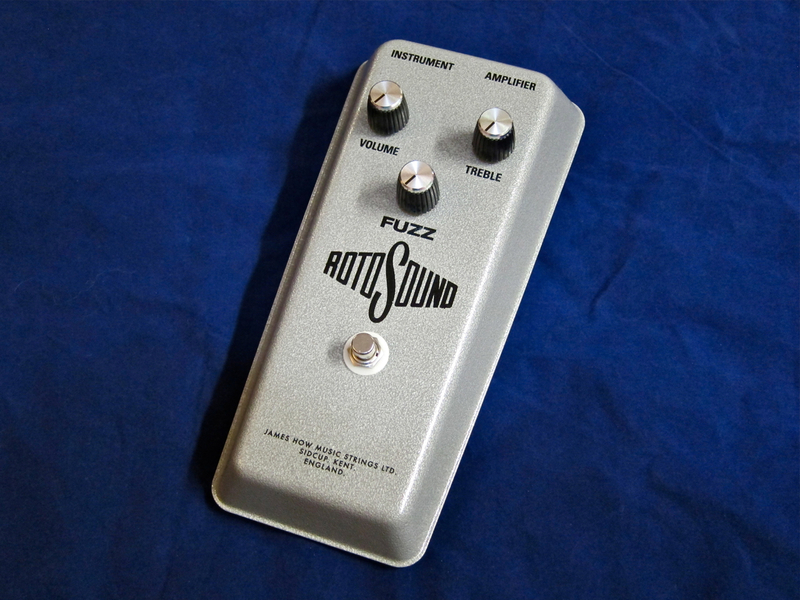 The Rotosound 1960s Reissue Fuzz is a reissue of a legendary effect pedal which originally never made it to full-blown production. The great sound of the few existing pre-production prototypes, their scarcity, and the fact that this pedal has been spotted repeatedly on a certain Mr Jimmy Page’s equipment list have made this fuzz the stuff of legends. At last year’s Musikmesse in Frankfurt Rotosound announced a limited run of 2,000 Fuzz reissues, assembled by hand at the company’s UK plant. 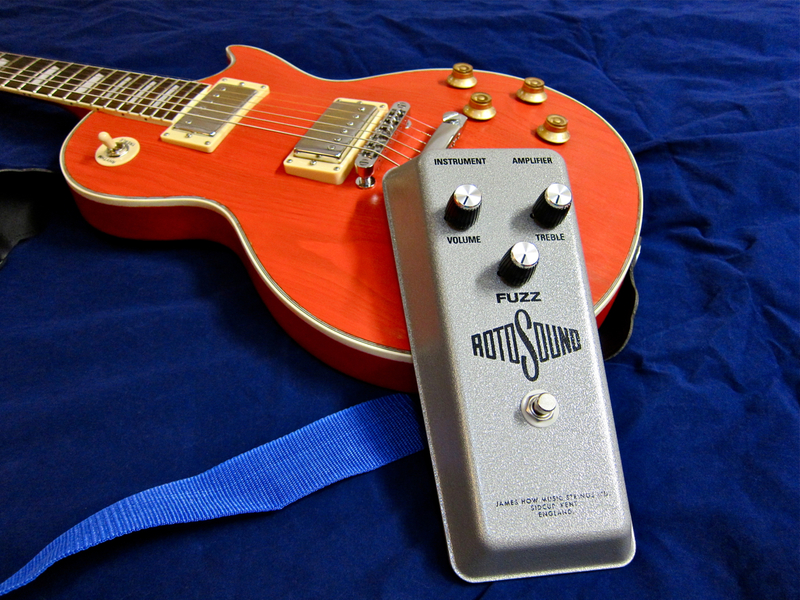 Rotosound’s Fuzz (current price in Finland 349 €) is an old-school guitar effect – meaning it’s huge and built like a tank. 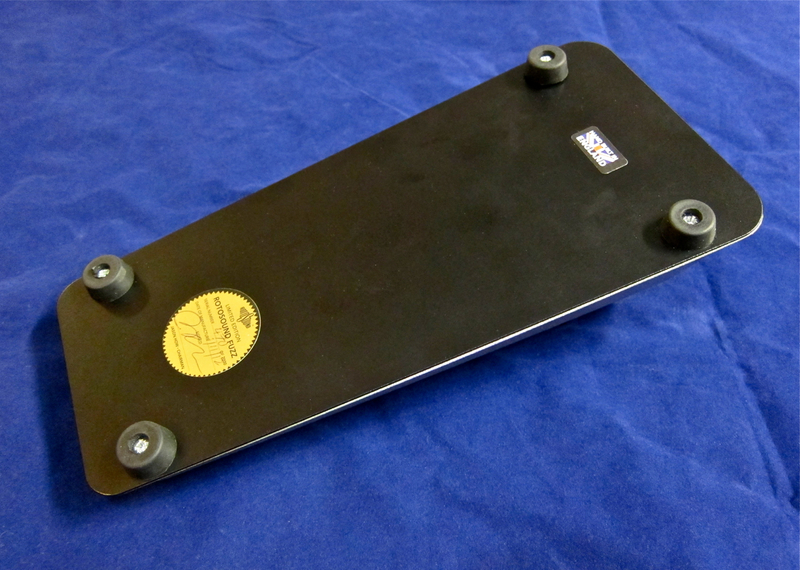 The large casing makes it possible to place the controls well out of your stomping foot’s way. 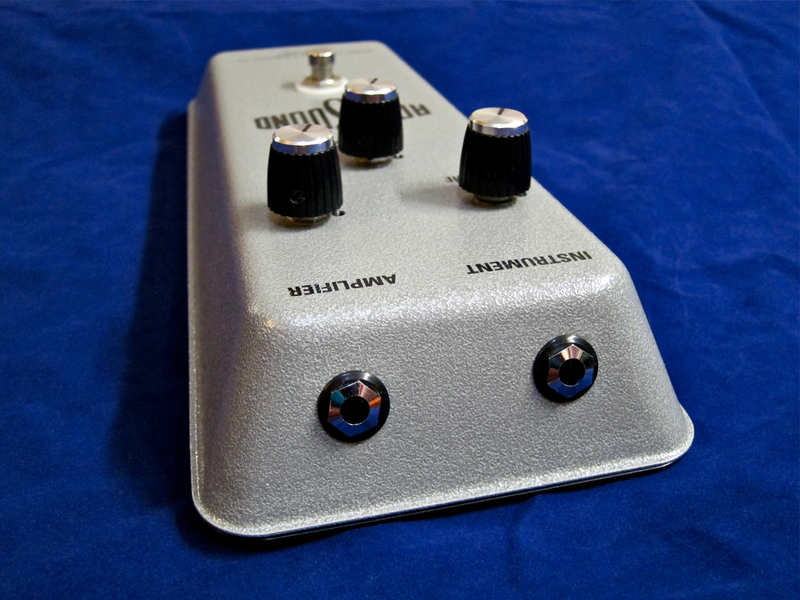 The major drawback of course is that this Fuzz takes up considerable space on your pedalboard. One in, one out – no need for anything more. 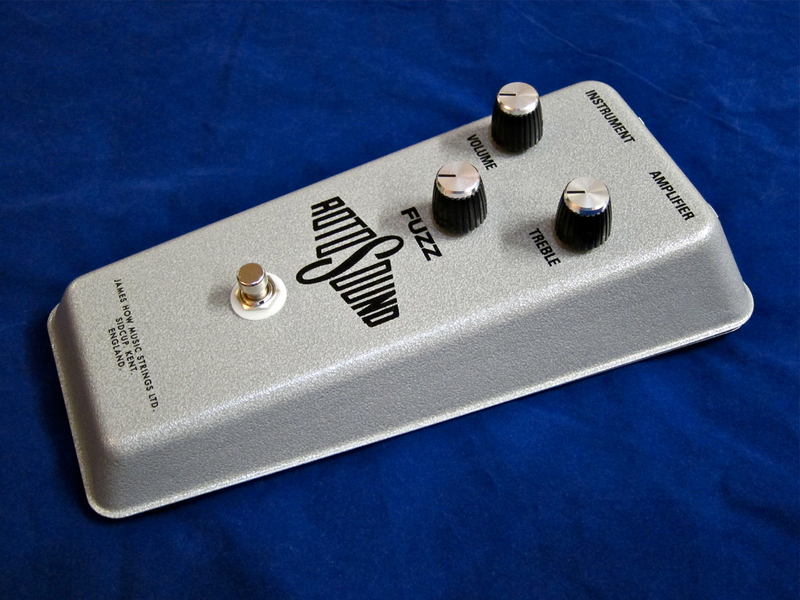 Posted on February 25, 2013, in effects and tagged 1960s, effect, Fuzz, reissue, Rotosound. Bookmark the permalink. Leave a comment.